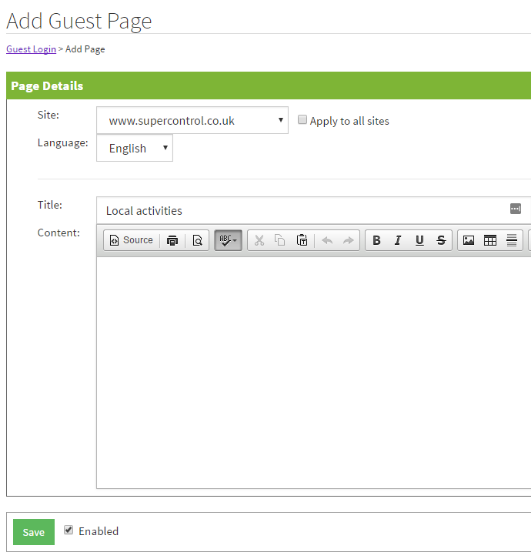 Help CentreUsing SuperControl Using the guest loginHow do I add a page to the guest login? 2. Click Add new page. 3. Enter a Title for the page and then enter your content. 4. Tick "Enabled" to set the page live within the guest login and then Save. Prev: How does a guest log in? Next: How do I upload a document in the guest login?